For the fourth consecutive year Athens Administrators’ Orange, CA office location has earned the distinction of being recognized as one of the Top Workplaces in Orange County by the Orange County Register. This year we ranked #12 out of 80 competing businesses in the Small Business category. Being a Top Workplace is incredibly important to Athens Administrators and we are very proud of this ranking. Athens works hard to be the employer of choice for the most talented people in the claim administration business. We firmly believe that professionally fulfilled individuals will deliver the highest quality work product for our clients. 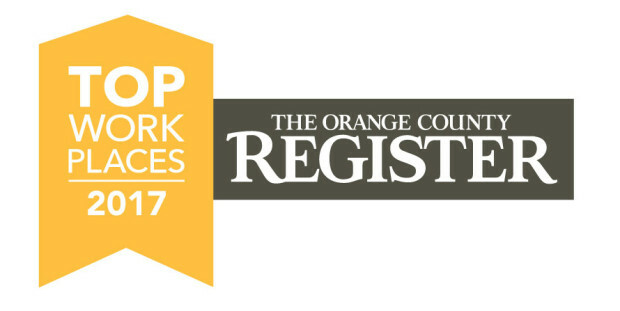 This year 203 organizations participated in the Orange County Register’s extensive online survey process. Of these participants 140 of the companies qualified to be considered a Top Work Place in Orange County. The 140 companies have been broken into categories which are; Large Employers (> 500 employees), Medium Employers (between 100-499 employees) and Small Employers (<100 employees). In total 20 large companies, 40 medium and 80 small businesses qualified.